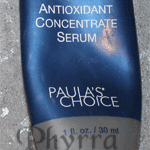 Several months ago I purchased many different Paula’s Choice products. One of them was the Paula’s Choice RESIST Anti-Aging Clear Skin Hydrator. I wanted to find a great night time moisturizer that didn’t leave me feeling greasy and was chock full of super ingredients, including Vitamin C.
RESIST Anti-Aging Clear Skin Hydrator contains an exclusive complex of proven antiwrinkle and skin-clearing ingredients that renew and restore your skin, making it look younger, even-toned, and fresh. Powerful antioxidants and skin-repairing ingredients stimulate healthy collagen production, repair sun damage, and fade red marks and discolorations from past breakouts. Lactoperoxidase helps eliminate breakout-causing bacteria, while soothing agents calm skin and enhance its natural repair process. $22.95 for 1.7 fl. oz., $.85 for .06 fl. oz sample. Yes! This product has been a great night time moisturizer for me. I love that it’s safe for use around the eyes. I use it on my face, eyes, hands, neck and décolleté. Since I do have the occasional zit, it’s nice to have something that I can use that won’t cause me to have more. While I don’t have a terrible amount of wrinkles, I’m all about preventing wrinkles by using products with Vitamin C, Retinol (this is not a retinol product), moisturizers and SPF. Additionally, this moisturizer comes in a nice container. There’s no jar to dip my fingers into. Instead it has an airless pump. The ingredients are kept in a stabilized environment and not exposed to the light or air. Yes! While I do believe that I purchased this during a sale, it’s very reasonably priced for the amount of product you get. I love that it doesn’t break me out. It leaves me feeling hydrated without feeling greasy. It feels very moisturizing around my eyes! 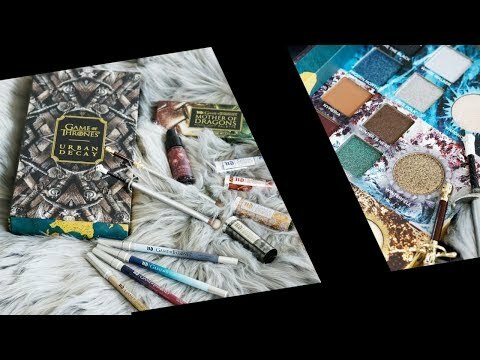 I have recommended this product many times in the past few months so I really needed to get this review out there for you. Anti-aging products are a way for people to reverse the signs of aging. As we age our skin gets drier which makes wrinkles and fines lines more visible. Beauty_tidbits It’s really nice! Moisturizing without being greasy. Catherine bcf I do love her sales! Aging spots are the big obstacles for one’s beauty in the mid age and the product shown above might be the solution to keep the skin texture and keep the skin free from wrinkles and dark circles. OK, I’m sold! When I run out of the stuff I’m using now, I am getting this. I LOVE the gel-cream moisturizers and this sounds perfect because I’ve always battled with acne, but am beginning to “age” and need to address that, too! Plus I like the no jar concept, as well, and this is a lot cheaper than what I’m using, too. misfitgirlie I really love gel textures too!